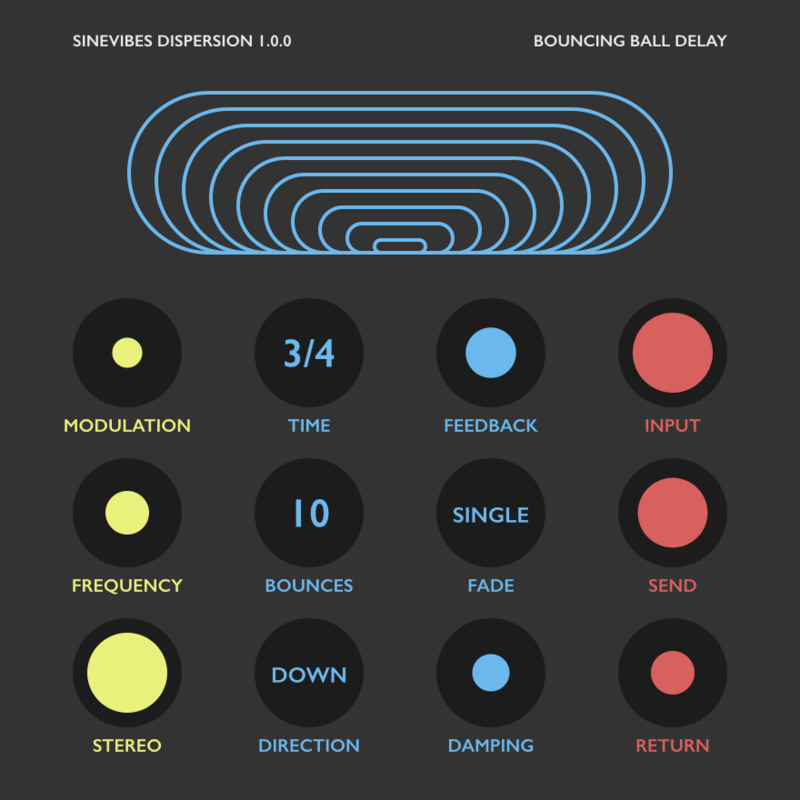 The “bouncing ball” delay is just one of the sounds available in Dispersion, a new thirty-dollar audio effect plug-in for the Mac. You get organic sounding delays that are all synced together to match a groove. That gives you tight choruses and stereo widening, nice crunchy-grainy delays, and other shuffles and diffusion and, you know, delay sounds. It’s an especially nice combination of very useful delays, in a compact package. Because this is Sinevibes, you can also assume a Mac-centric design sensibility and brightly-colored, simple, visual interface and animations – whether you have a lower-res display or nice new Retina screen. But don’t let that simplicity fool you. You can program up to 16 delay lines, all with this special “time spread” formula, plus damping at the low and high end, variable feedback (gradual or stepped), and modulation.